The Norfolk detachment of the Ontario Provincial Police in Simcoe, have a long history of helping the community through their roles as police officers and through charity and goodwill. 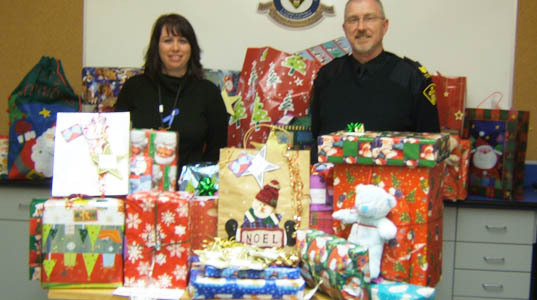 As in the past, Norfolk OPP once again put smiles on the faces of children this Christmas by purchasing dozens of toys and delivering them to The Children’s Aid Society of Haldimand and Norfolk. The Society would like to acknowledge the efforts and commitments of our police officers to our communities and our children. We would further wish to extend our thanks to the individual officers and their families who donated gifts in the form of new toys, clothing or gift cards for food to children and families in need this Christmas.